The fan pump is the most critical equipment in the whole approach flow system. 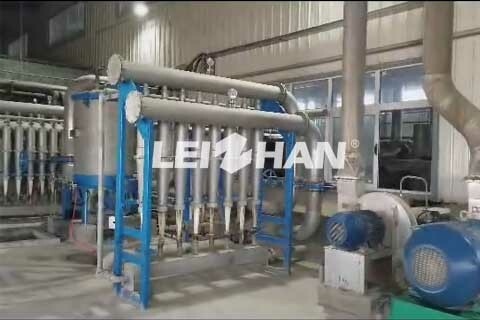 Its flow and head are related to the normal operation of the whole approach flow system. First, its transport capacity directly affects the speed of the paper machine. The flow rate of the fan pump is insufficient, and the speed of the paper machine cannot be improved at all. Secondly, if the fan pump head is too small to provide sufficient pressure, the normal operation of the desander and pressre screen can not be guaranteed. Some large paper machines in paper mills adopt a variable speed motor to drive the fan pump. This practice is to reduce the impact of the pulp pump on the speed of the paper machine. The purpose of the high order box is to provide a stable pressure head for the head box. For this reason, it must maintain a certain amount of overflow, and its overflow flow must be adjustable. The inner wall of the high order box should be as smooth as possible, and the inside area of high order box should have no dead angle. This helps to prevent a large amount of slime pulp exists in the interior, which keeping the system clean. The number and installation of desander is important for a paper machine. For a stable system, the ability of the desander is constant. When the speed of the paper machine has increased greatly, due to the reason of the desander (huge amount of slag removal), sometimes there will be no overflow of the high order box. Pressure screen is mainly used for cleaning the pulp before it flows into paper machine. For a fixed pressure screen, the effectiveness of its purification depends largely on the pressure difference between the inlet and outlet. This is related to the pump head. Its production capacity (through-put capacity in per unit time) is related to the flow rate and head of the fan pump.